It’s my birthday tomorrow and though we’re going out for lunch I’m going to be making tea (dinner, supper whatever you like to call it!) so we’re going to need a cake. My son and his wife are coming and they like carrot cake so I thought I’d use my new Bundt tin again. The Twitter expert on Bundt baking is @DollyBakes Rachel but searching her blog – although very tempted by her Banoffee Bundt – I couldn’t find a carrot cake. I asked her if my normal recipe would work but as it’s quite a soft sponge she recommended not. So I started trawling the Internet and thought a Martha Stewart recipe might do it but it contained margarine (mine has oil) and something called potato starch? Also pecans which I don’t have either and as I wanted to do this NOW (as usual) I decided to try my regular recipe with an extra egg to try to firm it up a bit. It’s written in my book in ounces so I took the opportunity to convert to cups. I love the simplicity of cups and spoon measuring. 1. Preheat the oven to Fan 160 degrees. 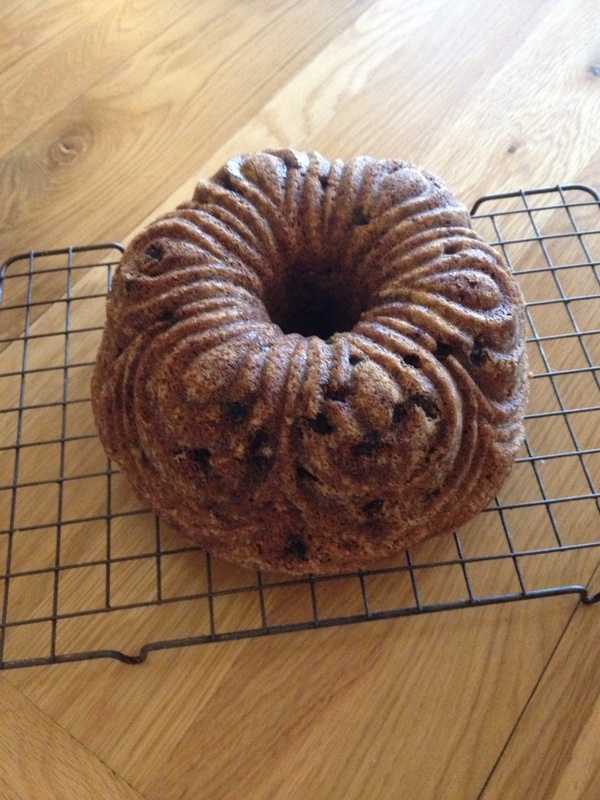 Prepare the Bundt with a quick release spray. 2. Add the sugars and oil to the bowl and mix. Add the eggs and mix again. 3. 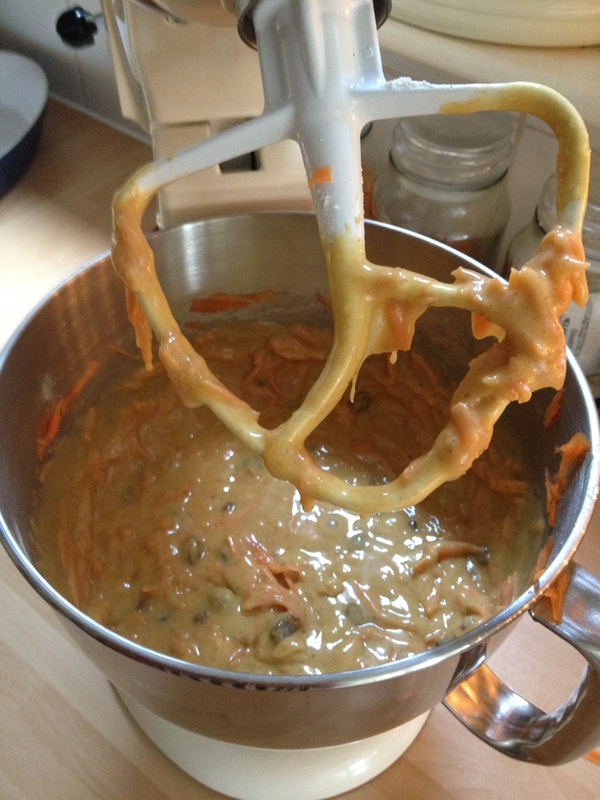 As I’ve said before I rarely sift but place the flour and spices into a bowl and whisk. 4. Add the flour and spices to the liquid ingredients and mix gently. 5. 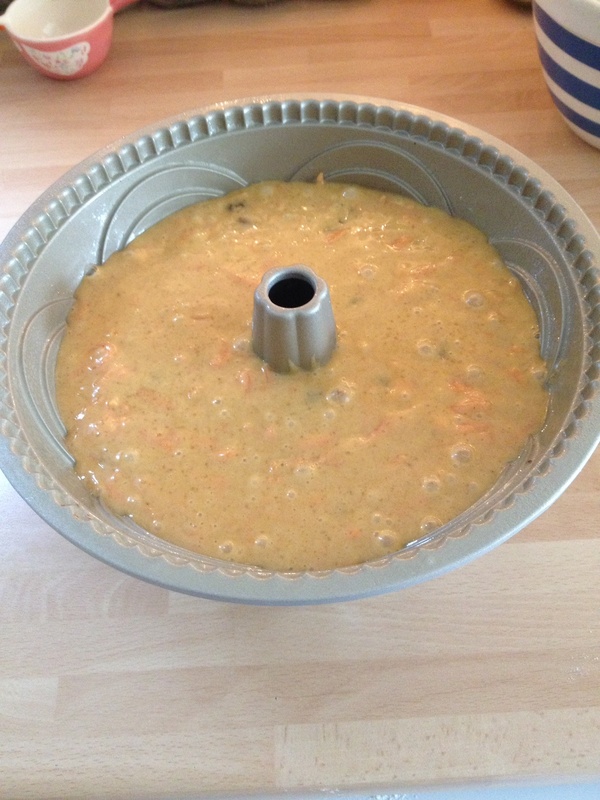 Add the grated carrots and sultanas and again mix gently. 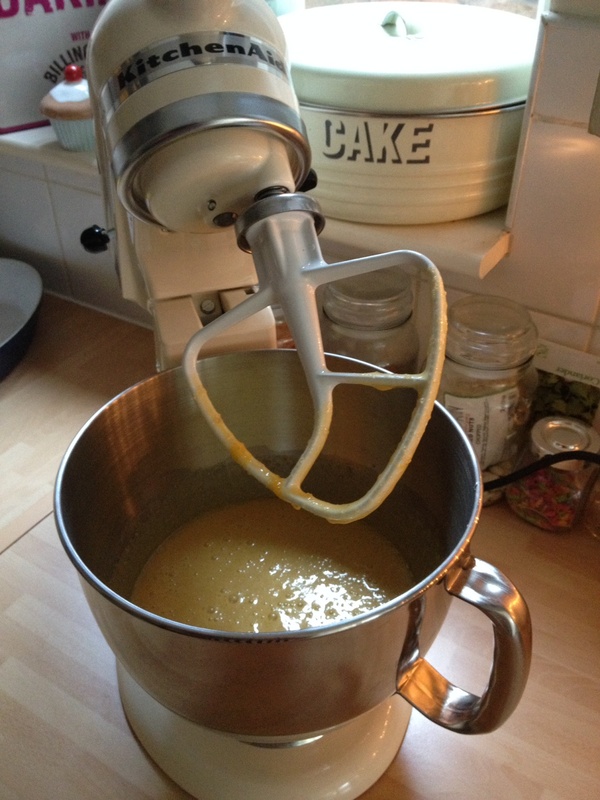 I love the fact my new Kitchen Aid mixer collects everything together and I had no need to scrape flour from round the sides! 6. Gently pour into the Bundt pan – your mixture should be about three quarters way up the pan. Tap the tin on your work surface to remove any air pockets. 7. Bake for 50-60 minutes – test with a skewer and it should come out cleanly. Leave to cool in the pan before turning out. I’m going to decide how to decorate it tomorrow!